760 mmHg. What volume will the gas occupy at 25 oC and 380 mmHg? 2. The volume of a gas is 100.0 mL at 27 oC. At what temperature in degrees Celsius would the volume of the gas be 200.0 mL, assuming the pressure remains constant. 3. A sample of gas occupies 100.0 L at 710.0 torre and 27 oC. Calculate the pressure in torre if the temperature is changed to 127 oC while the volume remains constant. 5. A 1.5 mole sample of a gas occupies 25.0 L at 758 torre and 27oC. 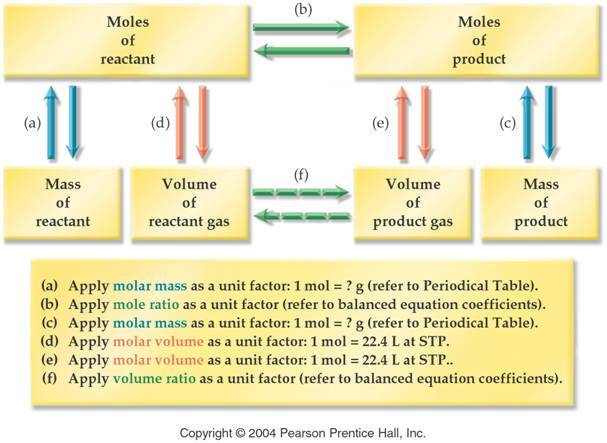 Calculate the Volume of the gas, if more molecules are injected into the vessel increasing the moles to 2.5 moles, provided the pressure and the temperature do not change. 6. A100.0 mL sample of air is collected at 25oC and 774 mmHg. What is the volume at STP? How much does this volume of gas weigh? In the Haber process, nitrogen N2 and hydrogen H2 gases combine to give ammonia gas NH3 as the only product. If 5.55 L of nitrogen gas completely reacts, calculate the volume of ammonia that is produced. Assume all volumes of gas are measured under constant conditions of 500 oC and 300 atm pressure. How many liters of hydrogen are required to complete react the 5.55L of nitrogen? How liters of oxygen may be made from reacting 1.226 grams of Potassium chlorate? Calculate the gas density of octane gas C8H18 vapor at STP? Calculate the gas density of octane gas C8H18 at 27 oC and 750 torre?.